GST is headquartered in Fort Collins, CO with remote offices in both Cedar Rapids, IA and Decatur, IL. We routinely conduct business throughout the U.S. and are always looking to expand our horizons. We have vehicles, trailers and employees that are available to efficiently mobilize to any part of the U.S.
GST Power Service Group, Inc. was originally established in 1992 under the name of Western Power Technical Services. In August of 2000, a change in ownership inspired not only a name change representing the initial emphasis of working with Generation, Substations and Transmission, but an expansion in the capabilities and future growth of the company. GST continues to offer a vast range of maintenance and technical services including plant and substation startup, protective relay systems review, transformer testing, and more. Our technicians have participated in training that includes AVO International’s Substation Maintenance Certification Program, Doble Engineering’s Power Factor Testing program, and SD Meyers Transformer Maintenance Institute. Our professional engineering staff has extensive experience in the refinement of site-specific power distribution, protection, control, and instrumentation systems. 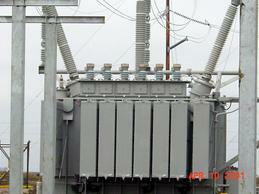 They have designed, constructed, and placed in service a wide range of electrical systems. GST uses the latest in electrical testing equipment manufactured by vendors such as AVO/MultiAmp/Megger, Biddle, Hipotronics, Fluke, Dranetz, Siemens, Schweitzer Engineering, Doble Engineering, Signalcrafters and others. All test equipment is calibrated per the manufactures' recommendations. Included in our equipment resources are a trailer mounted 480V Vacuum Oil Pump and Cryoquip’s SF6 Gas Reclaimer. 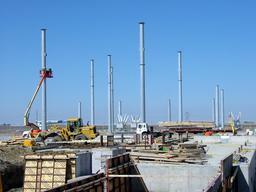 (We are able to acquire additional equipment from a third-party supplier when necessary.) Software capabilities include SKM Power* Tools, AutoCAD and Doble/MPRT Modules necessary to conduct a wide variety of relay testing. 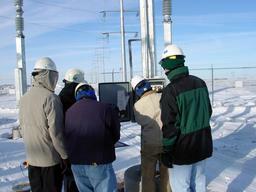 All testing is performed in accordance with IEEE, ANSI, NETA, manufacturers and client's standards. Wide-ranging employee knowledge, expansive equipment resources and the ability to deploy on a moments notice have provided GST with the benefits of a confident clientele. We have sustained substation maintenance contracts with major providers for over 10 years – and we are continually seeking new partnerships.